How to Create a Photo Calendar - Unique Design in 5 Minutes! Want to make a cute calendar for 2019? 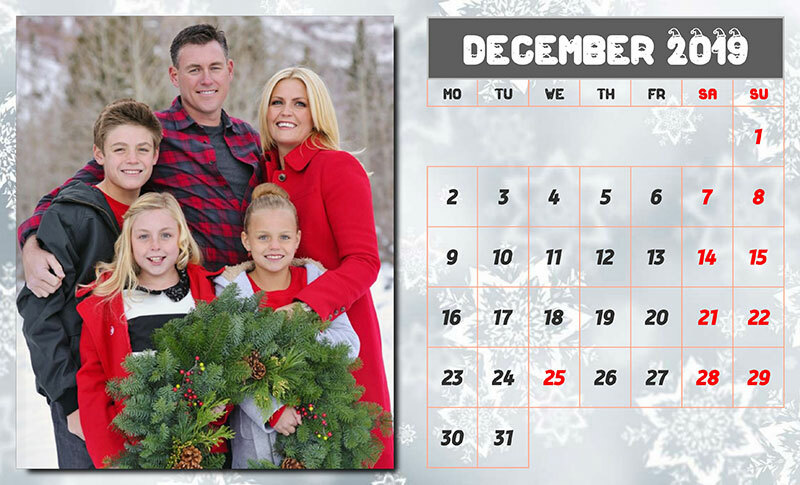 How to Create a Photo Calendar - Exclusive Design in Five Minutes! Want to learn how to make a cool photo calendar with the minimum of technical knowledge and time spending? You are on the right page. You will need only three things: smart calendar making software, a little inspiration and 5 minutes of your time. Like the planner example above? 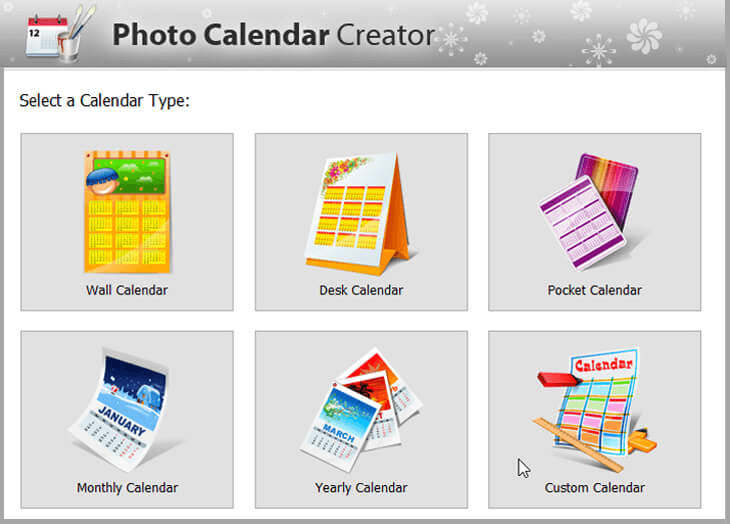 Then download the Photo Calendar Creators software and start creating photo calendars in 3 simple steps. As soon as you have launched the program, the Calendar Design Wizard offers you a selection of calendar layouts. Choose the one that suits you the most. Whether it’s a large wall poster for a whole year, a handy desk planner or a tiny pocket calendar, you can personalize each template as you like and create photo calendars with your own design. Think outside the box and try all the editing possibilities! Use your personal photos and other images for the page background or construct fancy collages. Move and resize pictures easily. Modify the month style: a wide color palette, an extensive collection of fonts and a large clipart gallery are available for you. 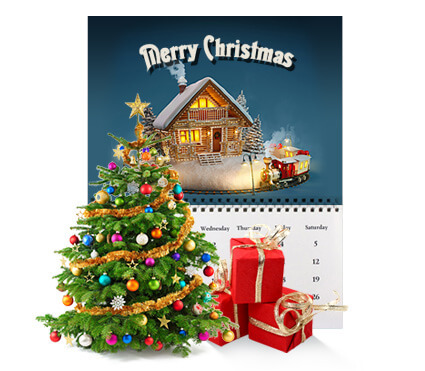 Create photo calendars with an imaginative touch! You have finished the major part of your creative work by now, and just a few mouse clicks are left. Hit the Save button and choose the option to save your calendar: a JPEG or TIFF image, or multipage PDF. It’s as easy as a pie - create a photo calendar in 5 minutes, adjust the print settings and print your masterpiece in professional quality right away!